The Emperor Penguin is the largest penguin of all and, like all Antarctic penguins, has a thick layer of very tightly packed feathers with tufts of down at the base of each feather which act like a thermal vest to trap the air to keep the bird warm. When the Antarctic winter begins in March, unlike all the other sensible breeds who make their way north to the warmer parts of Antarctica, large colonies of Emperor penguins march for about 200 miles across the pack ice in the opposite direction to breed on the coldest place on earth. Once there, as many as 6.000 penguins will form a huddle together taking it in turns to move from the outside of the huddle into the centre where it is warmer. 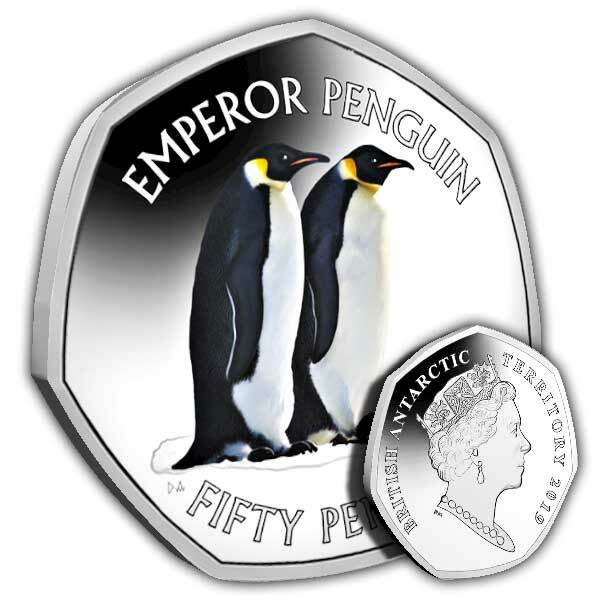 It is very rare to find an Emperor penguin living outside Antarctica. 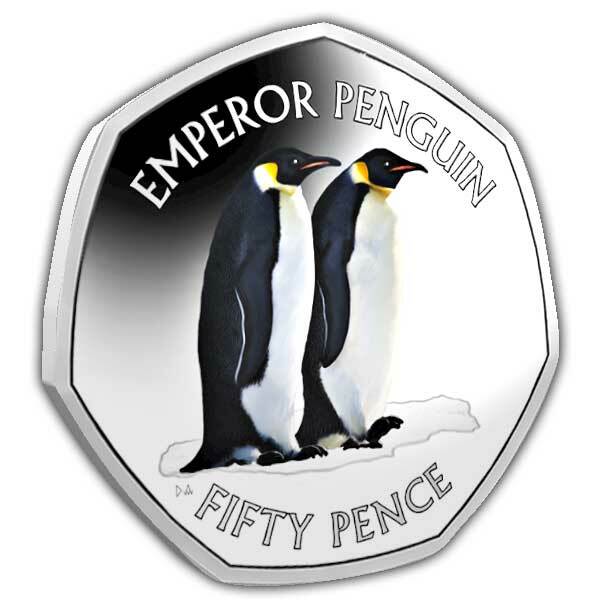 The design on the coin itself features a male and female Emperor penguin. 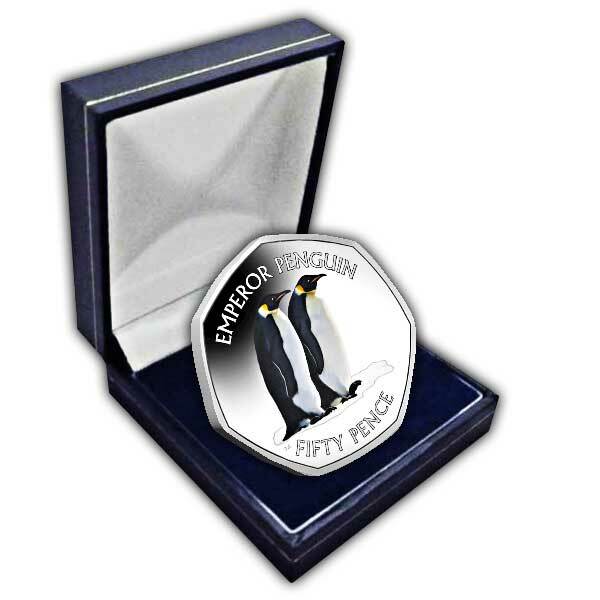 The Pobjoy Mint exclusive Effigy of Her Majesty Queen Elizabeth II is shown on the obverse of the coin. The coin is available in Cupro Nickel Diamond Finish with the penguins portrayed in colour.